Motivation Theories – Maslow’s Hierarchy of Needs. 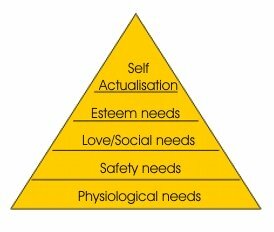 Maslow’s hierarchy of needs is simply a ranked structure of behavioural stimuli that try to explain motivation. It is one of the Content Theories of motivation. Maslow describes BIOGENIC and PSYCHOGENIC needs. BIOGENIC needs – biological determinants of behaviour. PSYCHOGENIC needs – emotional or psychological determinants of behaviour. -	The need for freedom of inquiry and expression: for social conditions permitting free speech and encouraging justice, fairness and honesty. -	The need for knowledge and understanding: to gain and order knowledge of the environment, to explore, learn and experiment. Physiological needs – food, shelter. Safety needs – security, order, predictability, freedom from threat. Love/Social needs – for relationships, affection, belonging. 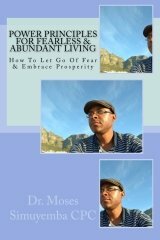 Esteem needs – for independence, affection, belonging. Each level of need is dominant until satisfied. A need which has been satisfied no longer motivates a person. 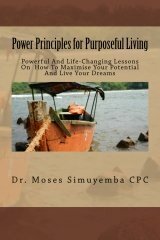 However, according to Malsow, the need for self-actualisation can never be satisfied.